Director of website publication: Jean-François BLOT. Photos on this site are subject to copyright. For maintenance reasons, Pays de Laval Tourist Office may suspend site access and will try to warn users in advance. In accordance with the provisions of the Act of 6 January 1978 relating to computers, files and liberties, the automatic processing of personal data carried out and from this website has been declared to the Commission Nationale Informatique et Libertés (CNIL). The Pays de Laval Tourist Office makes every effort to ensure that information and / or tools available to users is reliable, but can not be held responsible for errors, lack of availability of information and / or the presence of viruses on its website. The user is informed, in accordance with Article 27 of the French Data Protection Act, files and freedoms of January 6, 1978, that any optional information communicated by responding freely to forms on this site is intended for the Pays de Laval Tourist Office webmaster for purposes of administrative and commercial management and, barring any objection from him, to other companies within the same commercial group or partner companies of the Pays de Laval Tourist Office. The user is informed that he has right of access and correction with respect to all personal data by writing to the Pays de Laval Tourist Office. 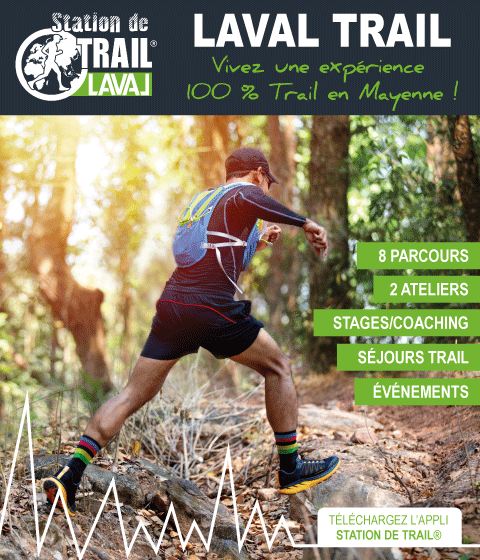 The general structure, as well as software, texts, images (animated or not) and all other elements of the site are the exclusive property of the Pays de Laval Tourist Office. Any total or partial reproduction of this website by any means whatsoever without the express authorization of the Pays de Laval Tourist Office is prohibited and constitutes an infringement sanctioned by articles L.335-2 et seq of the law regarding intellectual property. The same provisions apply to databases contained on the website, which are protected by the provisions of the Code pertaining to Intellectual Property transposing the European Directive of 11 March 1996 on the legal protection of databases, of which the Pays de Laval Tourist Office is the producer. Users and visitors to the website may not establish a hyperlink to this website without the express prior authorization of the Pays de Laval Tourist Office.